Written by Carl Sack Cartographer, Graduate Student. When I decided to become a cartographer, I didn’t just want to make pretty and useful maps. I became a cartographer to make maps that change the world for the better. 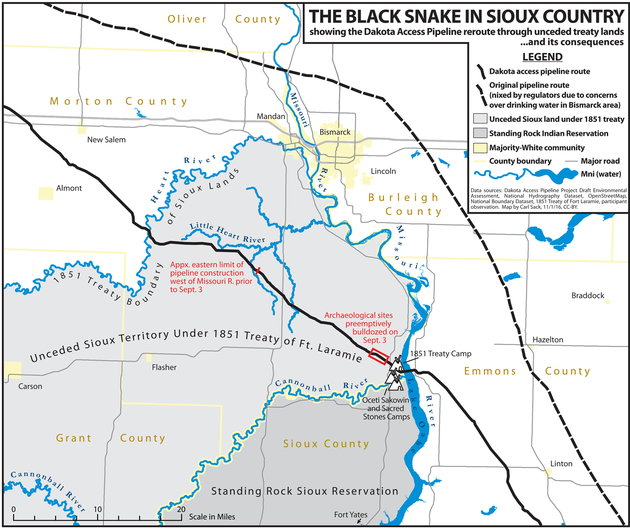 Right now, no situation needs this kind of map more than the current drama unfolding around the Dakota Access Oil Pipeline’s crossing of the Missouri River. A map that shows how project could endanger the drinking water of millions. 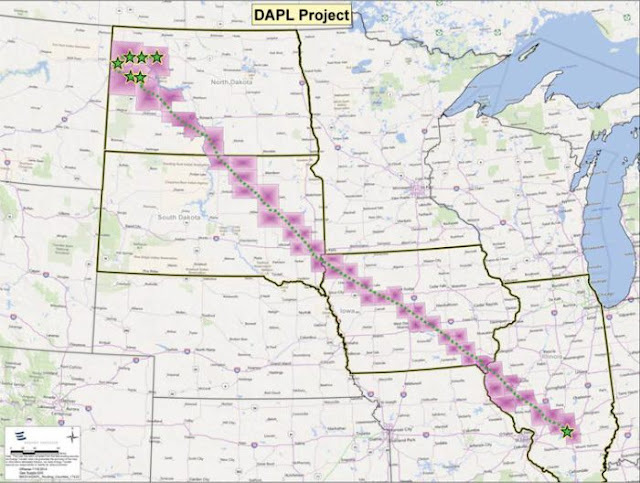 A #NoDAPL Map Written by Carl Sack Cartographer, Graduate Student. Responses to "The Dakota Access Pipeline Map Everyone Should See"
Thank you. This map is very useful. Finally some freaking AWESOME maps! Now we just need to see some of the land the Army Corp of Engineers are calling Federal land - with a Drone capture of what they are doing.